(Francisco Kjolseth | The Salt Lake Tribune) Salt Lake Temple, Jan. 12, 2018. In a month that saw dramatic equalizing of women and men in Latter-day Saint temple rituals, the faith’s top leaders have announced one more move: Pulling a veil over a faithful Mormon woman’s face as her casket is closed is no longer required. No similar tradition exists for men in The Church of Jesus Christ of Latter-day Saints. The veil announcement parallels changes made in the temple ceremony itself. Before this year, at some point in the rites, women were expected to cover their faces with a veil. That was eliminated in the latest alterations. It’s good news for all members, said Ross Trewhella, a lay Latter-day Saint bishop in England. “Caring for the body of the deceased is always a tender and sensitive subject. Giving people dignity in death is important, and this change now affords adult women more of that by giving them a choice of whether they are veiled or not." It is unclear when the tradition of covering a woman’s face before burial began within Mormonism. Jonathan Stapley, author of “The Power of Godliness,” has found multiple documents in the 1880s describing the “veiling." 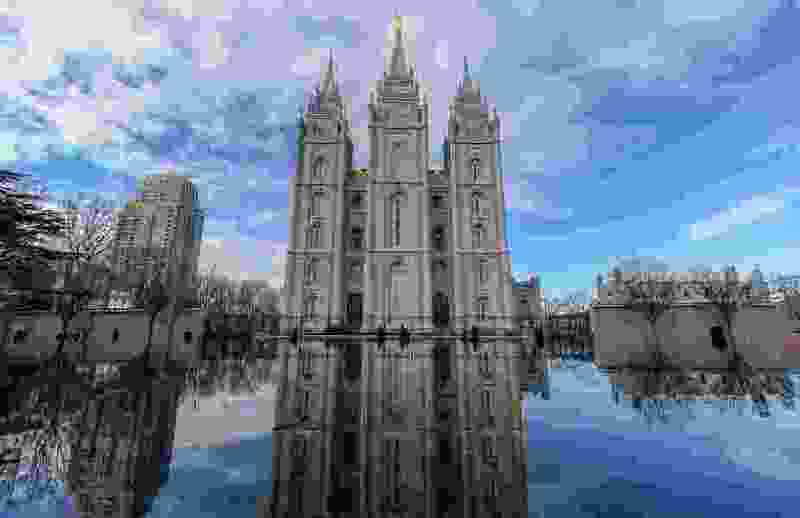 But the Bellevue, Wash., author, who has written extensively about Latter-day Saint worship practices, said it is likely to have begun much earlier. (Screenshot) The Church of Jesus Christ of Latter-day Saints has posted videos and photos explaining robes worn by faithful members inside the faith's temples. For her part, historian Ardis Parshall, finds a kind of sweetness in the veiling ritual. Given the new standards, the option remains available for those who want it.